Being a military family, my husband constantly tells me how much evil exists in the world. He says most people are naive and fail to accept reality. I tell him he's wrong, that people just choose to see the good in every situation. As I am typing this, I suddenly realise he's right, that to an extent we ARE all naive. When I first learnt of the Boston explosions, I tried to rationalise saying perhaps it was a troubled teen who accidentally set off firecrackers? My husband shook his head and called me "blonde". Look at the situation he said, it's clearly terrorism. "Oh did they officially declare that?" I asked. "Just look at the facts- multiple detonations, multiple locations, mass carnage." He replied. We as a nation are a compassionate bunch. Our biggest fear and disbelief is that there are people out there who's sole purpose is to hurt us. It's something we often fail to comprehend and as a result are quick to blame ourselves for their selfish acts. Were we not nice enough? Did we offend them? Could we have done something different? It is exactly this compassion and kind heartedness that evil doers take advantage of, it also happens to be the very thing that differentiates us. 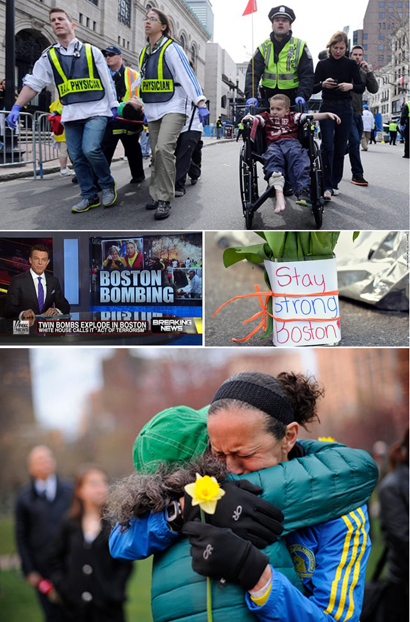 If there is anything we can take away from the Boston bombings, it's that this country refuses to be pushed around. Sure you can try to wreak havoc but it will only unite us stronger. Darkness may have descended for a few hours on Monday but once the smoke cleared it was a scene of hope, faith and love. People came together from all walks of life to help out in any way they could. It's clear that humanity isn't lost, some people just choose the wrong path. My husband may be right, there is a lot more evil in this world than we care to admit, but I'm going to continue believing in the good not because I'm naive, but because that's who I am. We cannot let any amount of terrorism or fear change our identity. Thank you for reading. I know this space is usually reserved for frivolities, but posting on anything else this week just seemed insignificant. We will be back to our regular features next week. this was a wonderful, wonderful post. "I'm going to continue believing in the good not because I'm naive, but because that's who I am" - I agree with you. At least we can choose how we want to see life. It's really so sad, and horrific what happened. But, in a positive light, people have been incredibly supportive. We just heard from our friends who are safe there now. Such a lovely post. I just refuse to believe that a normal human being can do that. it's very hard to see that someone really did that. and wanted to do that. especially to innocent people. horrible. but I try to believe, I pray to God every day. and I believe it can all get better. I believe it can change. we just have to pray. That's normally the situation everytime my husband and I talking on current issues. But I certainly believe that there's a good ratio between good vs evil and believing on the positive thoughts of life. However I certainly understand why they see things on different aspects. Such a well-written post, thank you for that. The number of good people who came out during this tragedy really made me proud of my city. This is why Bostonians are always so proud and quick to tell people where they are from. Because we love our city and we are strong. This was so well-written. When tragedies like this happy, as hard as it is, I try to focus on the good coming out of people. There are so many amazing stories. Super beautiful post. well written like you always do. I always try to find the goodness from anybody and refuse to believe that anyone can do such a harm. But why would be some are just plain evil? After hearing the news last Monday, in my mind I already have a small idea that it is again another terrorism attack. For all we know, there's a plentiful of countries that does not like U.S.A at all. Have a great weekend. Jenee, you've said it so beautifully with such compassion and wisdom. I'm at a loss to comprehend that someone could be so evil but I'm a firm believer that the good will always prevail. After all, even the devil fears God, right? It's really difficult to fathom why these things occur. How and why someone would want to hurt another person. Innocent people that are unknown to them. I simply don't understand. This is really a wonderfully written and compassionate post. 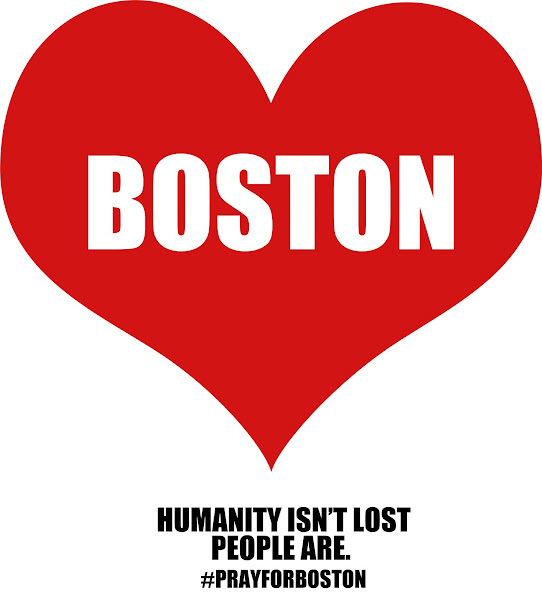 My heart and thoughts go out to all in Boston to get through this tragedy. This has been such a sad situation. I've been following the events on tv. I'm praying for you guys. This is so hard to understand. You know, I think you both right - he's right in a way that there's always a reson behind certain things and you are right about people believing in good stuff... I don't think it's about being naive, but more about believing that there's still more good than bad around us. love the last 3 things you said. my sister ran in that marathon and almost got hurt. Thank you for this post. xO! 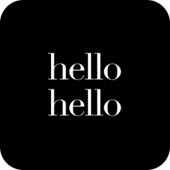 Did you know you can get them ON AUTO-PILOT AND TOTALLY FREE by getting an account on Like 4 Like?